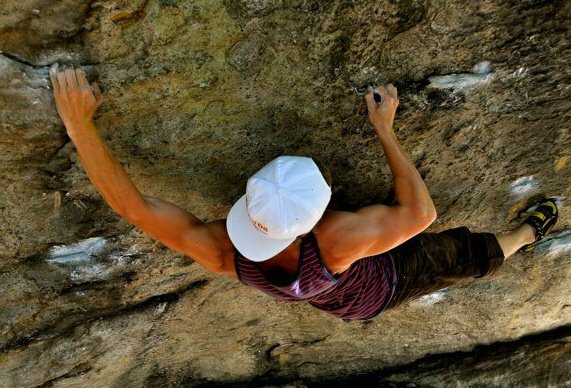 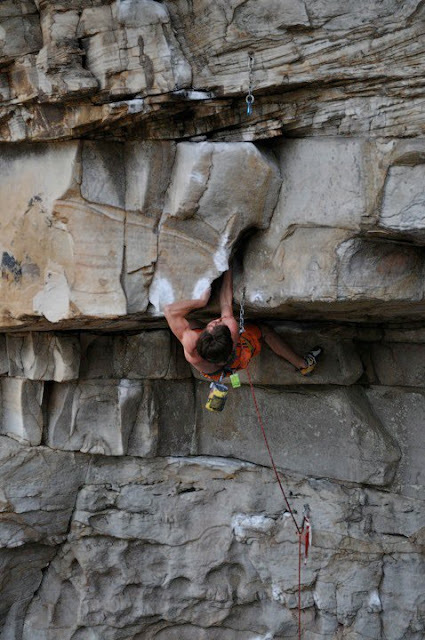 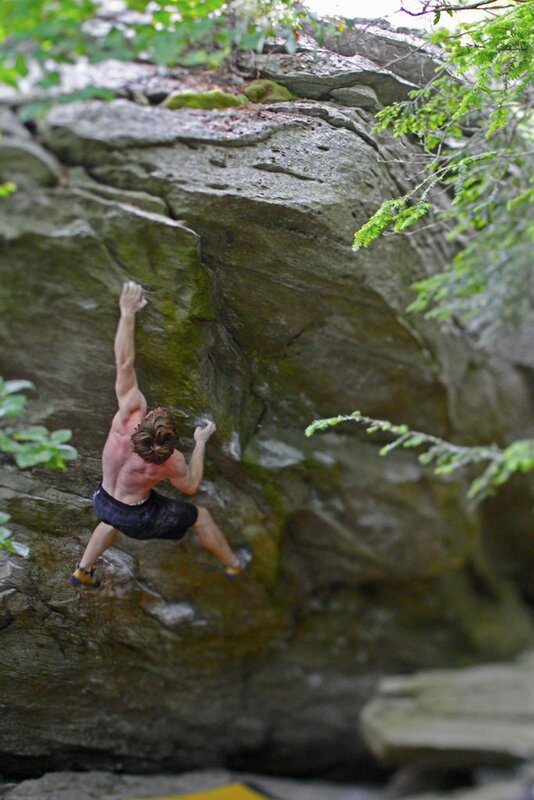 Wes Walker throwin down on Fresh Water (V10). 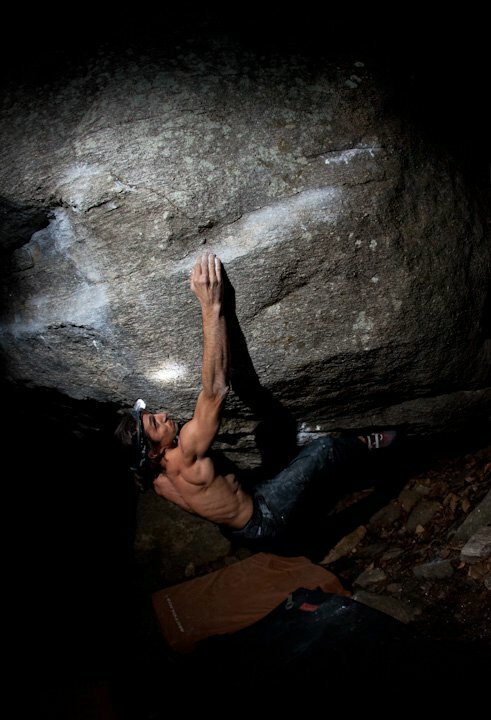 One of many post-midnight night sessions in Lake Lure. 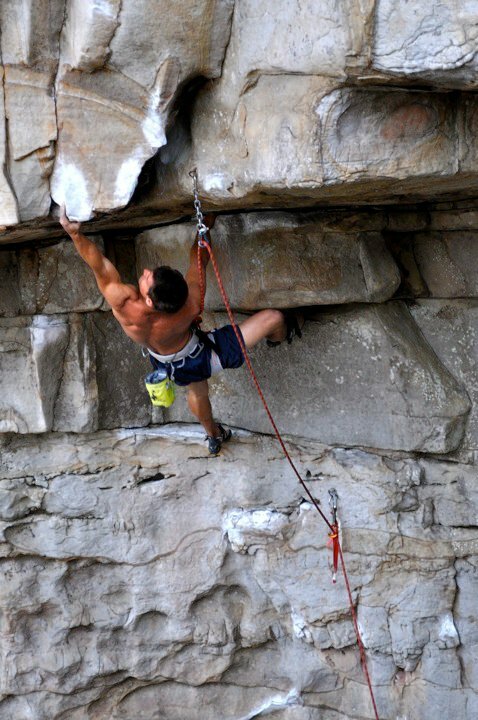 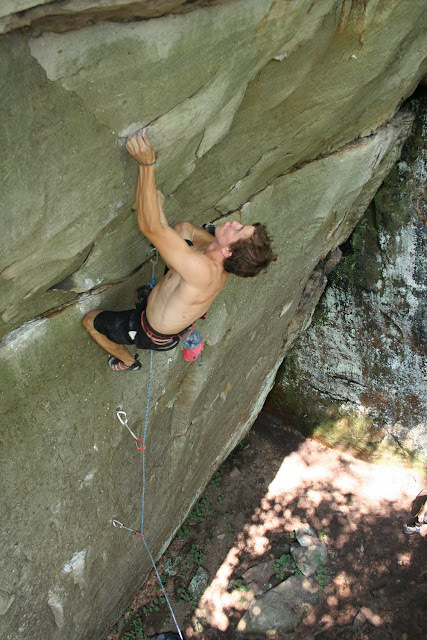 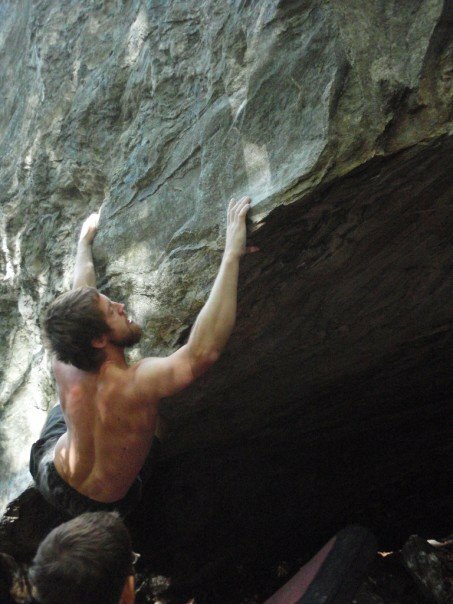 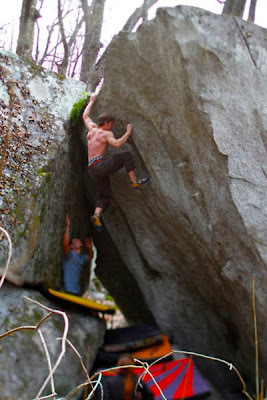 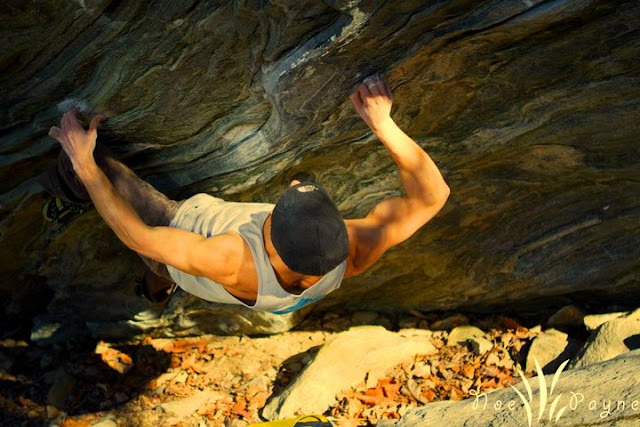 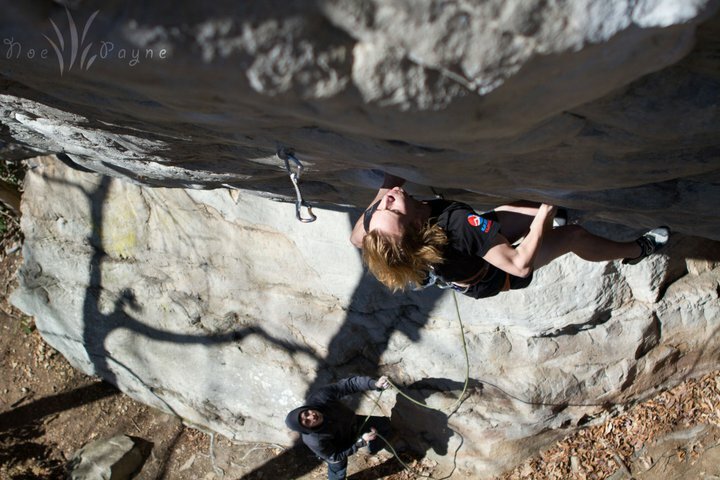 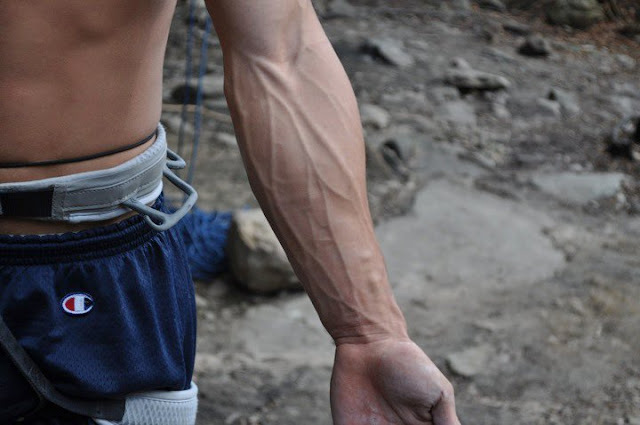 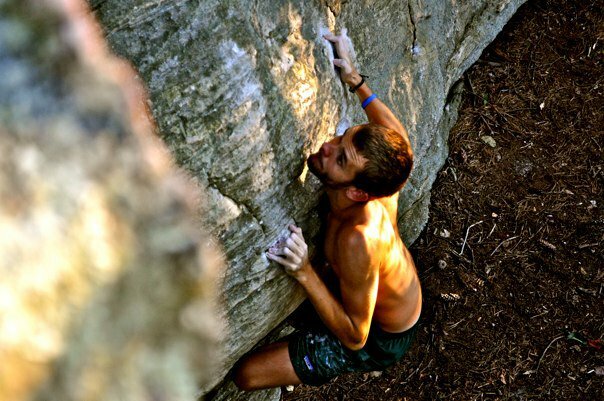 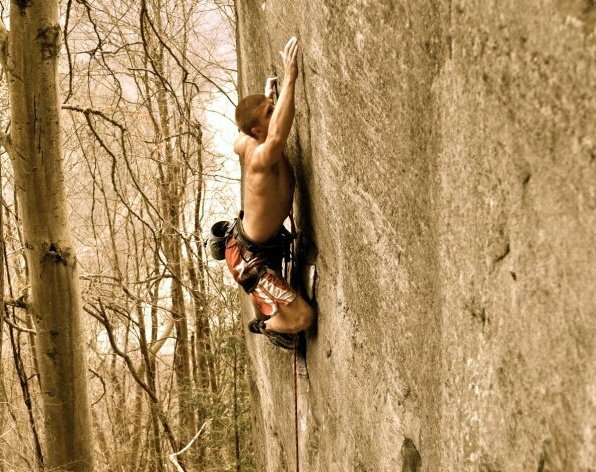 Maximus (Max Caudle) on Super Mario (5.13a) NRG, West VA.
Travis Gray, cuttin dem feet on Ebonics 7A @ Grandmother Boulders. 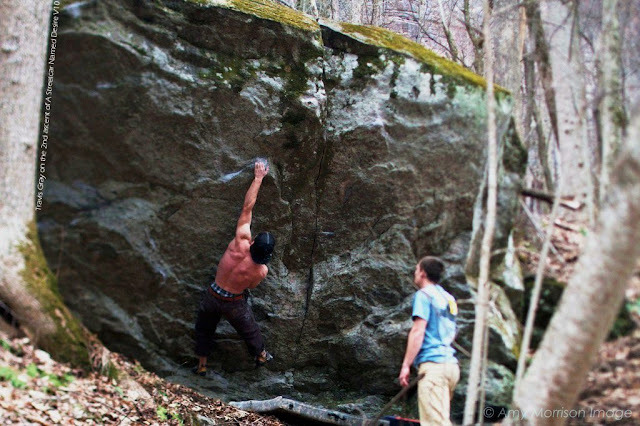 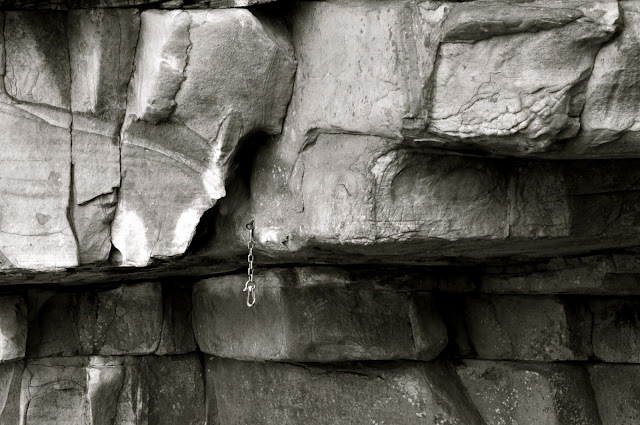 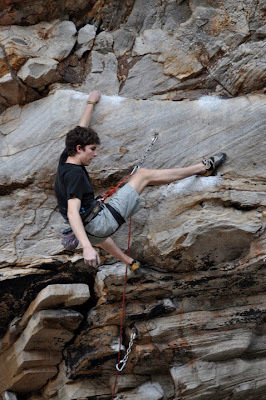 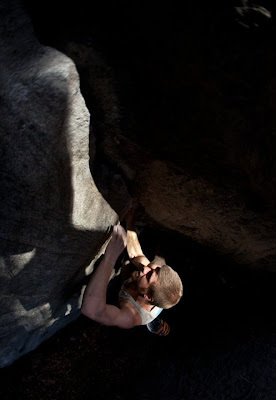 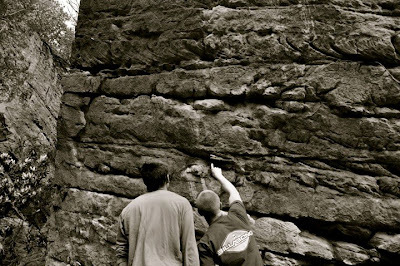 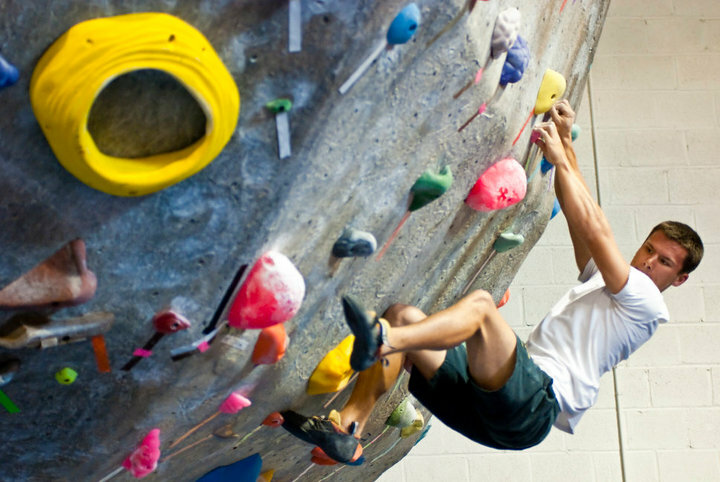 Travis again on "For the Birds" left variation 7A @ Northside Boulders.